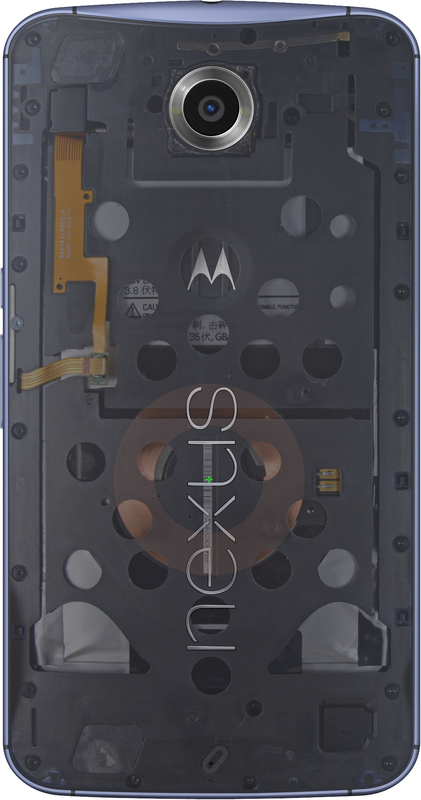 Reading through other sites/forums no one has been able to correctly identify the placement of the Qi Charging disc on the Nexus 6. After reviewing the teardown, is it possible to have a picture or indicator of where the Qi coil is placed on the Nexus 6? From this pic, it looks like the coil is right below the Motorola logo dimple. Thanks I didn't even see that in the picture. See image below for precise coil location. Somewhere in Nexus's documentation they say it is under the "e" in the Nexus written on the back, i.e. in the center 1/3 of the way up from the bottom. The center of the coil is between the X and the U in the word NEXUS on the back of the unit. Antony Cha sonsuza kadar minnettar olacak.